Jakarta Vice Governor, Sandiaga Uno welcomes Asosiasi Pengusaha Ritel Indonesia (Asprindo) support to participate in OK OCE program succession.
" We appreciate Asparindo for the opportunity to collaborate"
He said, Asprindo will provide training and mentoring access, particularly in retail, banking, and industrial engineering. "We appreciate Asparindo for the opportunity to collaborate. 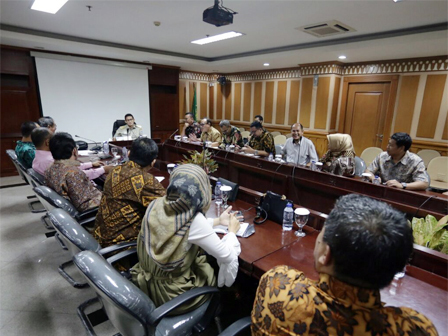 We want to ensure we have enough mentors to accompany OK OCE participants," he mentioned while conduct hearings and gathering with Asparindo at South Jakarta Mayor office, Tuesday (4/17). According to him, Asparindo will also help in P3 phase (mentoring), P5 (marketing), and P7 (capital). "We want to ensure a smooth transition from P6 to P7. Thus we need assistance from our friends in Asprindo for transition from P6 to P7," he conveyed. He explained, OK OCE is a movement that involves communities and all business elements to drive small and micro economy. For information, OK OCE participants must follow seven phases of Pasti Akan Sukses (7 PAS). Those are P1 (registration), P2 (training), P3 (mentoring), P4 (permit), P5 (marketing), P6 (financial report), and P7 (capital).